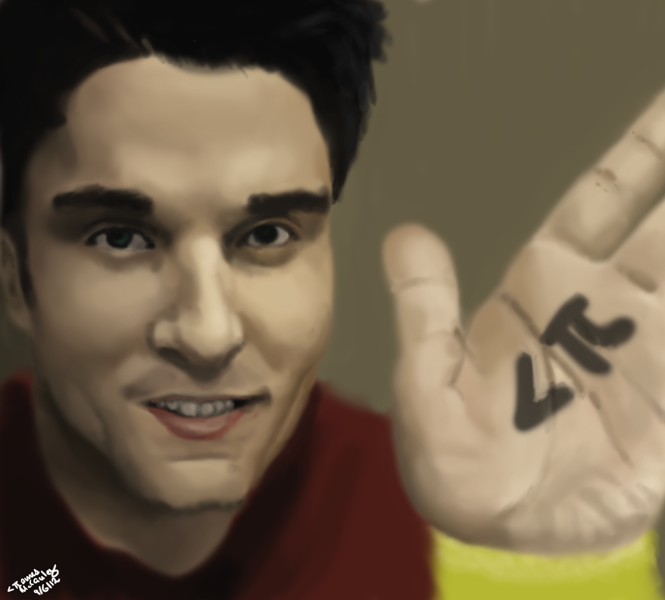 Why it's Ray William Johnson. Believe it or not I had not heard of this man until a few days ago. A subscriber suggested that I draw him on more than one occasion. I looked him up and figured "what the heck" and went for it. Learned a lot here and spent maybe two or three hours total on this one. Our light source is warm so our things in shadow are going to be cool. Nothing in shadow is lighter than anything in the light. I'm getting a pinch better at proportions, but I could be faster and more accurate by mapping landmarks. The hand gave me so much trouble and I'm still not very happy with it but I decided I wanted to move on to other things. You can expect a process video for this one tomorrow. God bless. Thank you for your time.